Pfc. 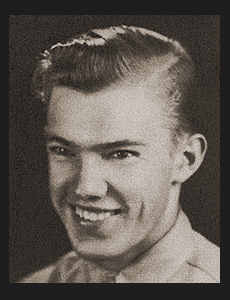 Wallace B. Landrum, son of Mr. and Mrs. A. Landrum, graduated from Davidson School; husband of the former Allyne Jeffers. Entered Air Corps in Dec, 1943, trained in Sheppard Field, Texas, Salt Lake City, Utah, Great Bend, Kanl, Kingman and William Field, Ariz. and Camp McCoy, Wis. where he is now on duty.